If you decide to pick up a copy of Titanfall 2 tomorrow, don't worry about someone trying to sell you on a season pass full of vague promises and unknown content. Because there isn't one. While Respawn confirmed as much back in June, I figure this is such a change of pace from most shooters that it's worth a reminder. 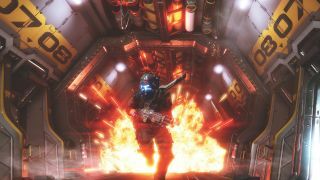 Respawn must have felt similarly, because the lack of a season pass is the first item on a "10 ways Titanfall 2 is a different shooter" list posted to the developer's website this week. Other items on that list include Titans (duh), fast movement, wall-running, and the fact that it's coming out for PS4, Xbox One, and PC. Yeah, I'm not sure those last few make TF2 super different, Respawn. But hey, you had me at "no season pass."